Beautiful wreath!!!! Thanks for joining us at Scrappy Frogs. Lovely, wish I lived near you, but I live in northern Canada, do you post you instructions? 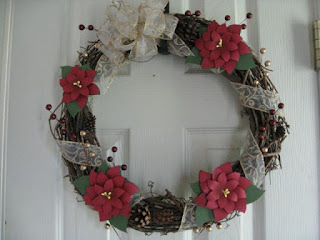 Love this wreath...you teach at the AC Moore in GB? I am happy to meet a MD neighbor!